Former champion Holly Holm has booked her next fight at 145 pounds against Megan Anderson at UFC 225 in Chicago. The UFC women’s featherweight division has finally booked a non-title fight. 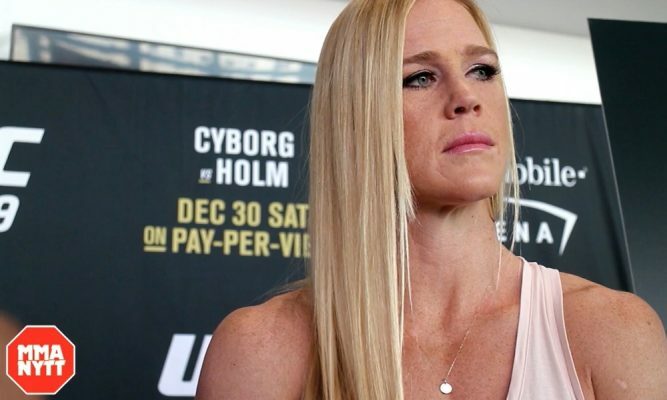 Holly Holm will make her return to action at UFC 225 when she faces former Invicta FC 145-pound women’s champion Megan Anderson in a showdown at featherweight on June 9 in Chicago. News of the fight was first reported by the Chicago Tribune. Holm will make her third appearance in the women’s featherweight division following two title fights in 2017. Holm last fought at UFC 219 last December where she lost a unanimous decision to current champion Cris Cyborg. 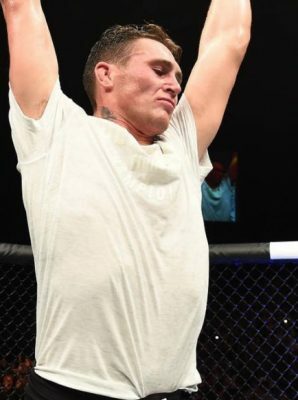 As for Anderson, her long awaited UFC debut will finally happen in June after she was originally expected to face Cyborg last July when personal issues prevented her from taking the fight. Nearly a year later, Anderson is ready to make her UFC debut as she faces Holm in a crucial matchup at 145 pounds in Chicago. UFC 225 will be co-headlined by a pair of title fights as Robert Whittaker takes on Yoel Romero in a middleweight bout while a new interim welterweight champion will be crowned as Rafael dos Anjos takes on Colby Covington.